Between the time that the USSR national team qualified for Euro 1992 and the tournament began, the Soviet Union fell victim to the end of the Cold War. No longer able to withstand nationalist pressure and economic stagnation, by the end of 1991 the Soviet empire had dissolved into 15 separated independent republics. There was still a European championship to play, but no team left to play it. And yet, the somewhat awkward circumstances of no longer being a country did not prove to be an impediment to the participation of the Soviet national team in Euro 1992, albeit under a different name. The curious case of the CIS national represents yet another aftereffect of the End of History on European football. Signs that the collapse of the USSR was imminent began to appear as early as the mid-1980s. Mass anti-Soviet protests calling for independence first erupted in the Baltic states, then quickly spread to the Caucasus and beyond. Tensions inside the football grounds mirrored the unrest on the streets. In a 1986 friendly between the Soviet Union and England held in Tbilisi the Georgian fans cheered on the English instead of the ‘home’ team. Crowds in Yerevan chanted ‘Latvia’ and ‘Lithuania’ when hosting teams from Vilnius and Riga as a sign of solidarity with their own independence movements. It was hardly a shock when in 1990 the Communist Party of the Soviet Union lost the first free elections held in the three Baltic states, Georgia, and Armenia, foreshadowing their inevitable independence. The repercussions of the 1990 elections were immediately felt throughout the Soviet footballing landscape. The Georgian teams were the first to go. Dinamo Tbilisi, two time Soviet Top League champions and, with their 1981 Cup Winners’ Cup triumph, the only Soviet team other than Dynamo Kiev to conquer a European trophy, withdrew from the league right before the start of the 1990 season. Guria Lanckhuti, who had been promoted to the Top League after finishing as runners up in the 1989 First League, also refused to participate. Žalgiris Vilnius soon followed. Žalgiris were by far the most successful team from the Baltic republics during the Soviet Era, finishing as high as 3rd and participating in the UEFA Cup twice in the late 1980s. They withdrew from the Soviet championship one match into the 1990 season. On December 25, 1991, Mikhail Gorbachev resigned from office and the Soviet flag was lowered from the Kremlin for the last time. 69 years after its founding, the Soviet Union officially ceased to exist. The Commonwealth of Independent States had by this point already been formed in preparation for the formalization of the collapse that everyone knew was coming. 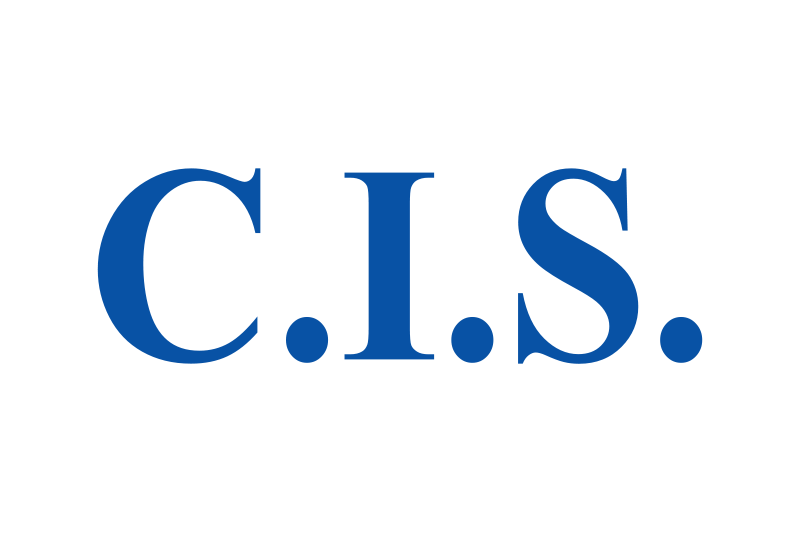 The CIS was, and continues to be, a loose association of former Soviet republics who have agreed to cooperate in matters of trade, security, and human rights. The charter of the organization stressed, however, that all members where sovereign and independent states; a successor state to the Soviet Union, it was not. By the end of 1991 eleven of the fifteen former Soviet republics had joined the CIS. The Baltic states and Georgia were the only ones not to sign the agreement, though the latter would end up becoming a member two years later. The USSR national team had secured their spot at the European Championships in Sweden after going undefeated in their qualifying group. But suddenly, after the collapse of the Soviet Union, their participation in tournament was up in the air. The question did not linger for long. On January 11 representatives from nine of the fifteen republics met in Moscow and established the CIS Football Federation. Ukraine, Armenia, and Georgia did not attend but allowed their players to represent the CIS national team on a temporary basis. The Baltic states were absent altogether. 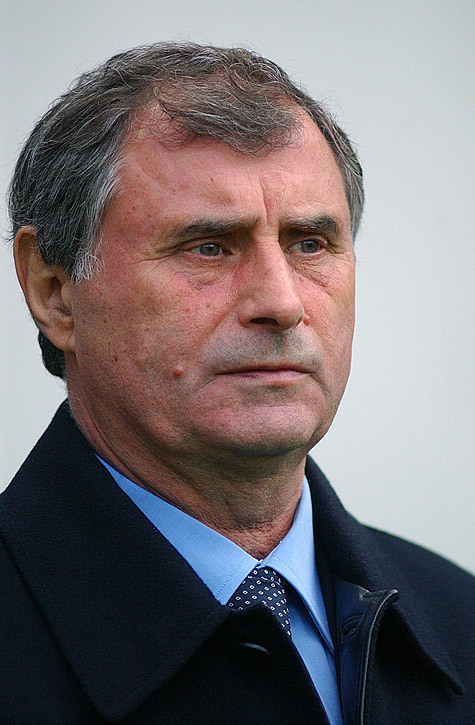 Two days later FIFA declared the CIS Football Federation to be the rightful successor of the Football Federation of the Soviet Union, effectively ensuring that the CIS national team would be able to compete at the Euros. During the match itself Marcelo Balboa missed a 60th minute penalty after Kakha Skharadze was called for a hand ball in the box. 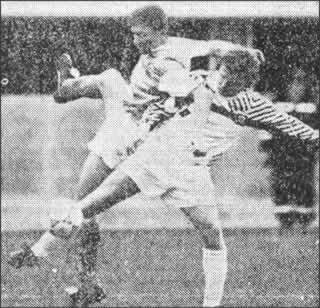 Seven minutes later (current ESPN commentator) Janusz Michallik gave the ball away in his own half to Ahrik Tsveiba, whose deflected effort left American goalkeeper Tony Meola stranded and gave the CIS the lead. 1-0 was how the match would finish. Skharadze and Tsveiba, by the way, were both Georgian, and were playing for the CIS national team despite the fact that Georgia was not yet a member of the organization. Charlie Nobles was the New York Times reporter who covered the match. In his match report he wrote almost exclusively about its political undertones, calling the CIS national team “a product of the commonwealth’s first attempt at capitalism.” Nobles’ Soviet counterpart Robert Edelman, in contrast, makes no mention of the political situation – the words commonwealth or CIS do not once appear in his report. He does, however, include a few sly digs at the United States. Edelman claims that he heard someone in the stands say that Marcelo Balboa should have stuck to basketball and points out that Michallik was a Polish immigrant who received American citizenship just a year prior to the friendly. CIS national team manager, Anatoly Byshovets, meanwhile, stated that most of his players were competing for “key reserve roles” for the upcoming World Cup qualifiers. What an optimistic view this would turn out to be. Following the victory in Miami (which in the end was not selected as a venue) the CIS defeated El Salvador 3-0 in a friendly in San Salvador, then returned to the US for another match against the Americans in Detroit. This time, the US emerged with a 2-1 victory, the first time they ever defeated the Soviet Union in any of its incarnations. Eric Wynalda, another current pundit on American television, opened the scoring and Balboa atoned for his miss in Miami by converting a 75th minute penalty. Maybe switching from basketball to football was the right decision after all. The CIS won 2-1. The victory over Israel was followed by a series of friendlies to prepare for Euro 1992. The CIS drew against Spain, England, and Denmark, only managing a victory against German club Schalke 04. But as much as Kuchurenko wanted to believe that the USSR national team still existed and that nothing had changed since the good old days, history was not on his side. In between the match against Spain and Schalke the team traveled to Mexico to play two friendlies against César Luis Menotti’s el Tri side. They lost the first match 4-0 in Mexico City before drawing 1-1 in Tampico. This friendly wasn’t quite like the others. In all of the aforementioned matches played by the CIS national team the squad was multinational. Ukrainians and Georgians were always well represented. The squad that traveled to Mexico, however, was composed entirely of Russian players. Some sources consider this a friendly between Mexico and Russia, not the CIS. It is a match not officially recorded by the Russian Football Federation, nor is it considered an official match of the CIS national team. But whether or not the history books want to acknowledge it, this was effectively the first match of the Russian national team in the post-Soviet era. Not that the Russians were the only ones to preemptively organize friendlies while the CIS national team was still existence. The Georgians had already played their first match in 1990, a 2-2 draw with Lithuania. Ukraine’s first match after independence was a 3-1 defeat to Hungary on April 29, 1992 – the same day that the CIS drew 2-2 with England in Moscow. By this point it had become clear that the CIS national team was in no way a legitimate successor to the mighty Soviet sides of years gone by. It was nothing more than a stopgap measure to allow the former Soviet Union to save face and participate in the 1992 European Championships. Their performances on the pitch were about as inspiring as one could expect from “a transitional device.” When the players stepped on the pitch at Idrottsparken Stadium in Norrköping for their opening match against Germany, they were wearing maroon-coloured kits with the tiny letters CIS emblazoned across their chests, a far cry from the grandiose CCCP that adorned the iconic red kits in the Soviet Era. The flag that was raised was not the familiar golden hammer and sickle on a field of red, but a plain white flag with C.I.S. written in blue. The anthem played before kick off did not open with the now-archaic lyrics “unbreakable union of free republics.” Beethoven’s 9th symphony was played instead. The CIS took the lead against the reigning World Cup champions in the 64th minute through a penalty converted by Igor Dobrovolski. They were minutes away from an opening victory, only for the Germans to strike in typically German fashion and equalize two minutes from full time. In their second match the CIS were thoroughly outplayed by the Dutch and were lucky to hold the Oranje to a 0-0 draw. Holland outshot the CIS 17-4 and had a van Basten goal controversially disallowed late in the 2nd half. To have any hope of advancing to the next round the CIS needed to beat Scotland, preferably by at least two goals in the case of a draw in the other match between Holland and Germany. Scotland had already been eliminated after two successive defeats and the CIS, despite their mediocre performances, were clearly favorites. The defeat to Scotland was the last match ever played by the CIS national team. It came less than six months after their victory over the United States, which makes them perhaps the shortest-lived national team of all time. Soon after the Euros FIFA declared Russia to be the legitimate successor of both the USSR and CIS national teams, giving the spot in the 1994 World Cup qualifiers and leaving everyone else to start from scratch. But before they started from scratch, they sent out a unified national team to a major international tournament for one last time. 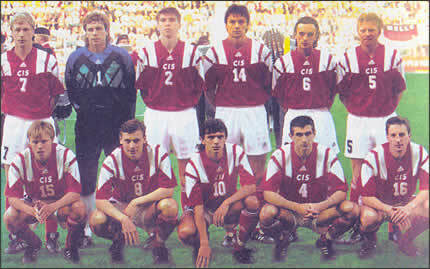 The performance of the CIS national team at Euro 92 was an abject failure. It only came into existence as a result of the End of History, yet it stands out in the history of the European championships. Not for any footballing reasons, of course. But for the fact that it was a national team without a nation.